N. C. State beat North Carolina. And Stanford overpowered Notre Dame. I'm a happy man. Not that I watch a lot of football. I don't. But what else is there to do over Thanksgiving weekend? Well, you can catch up on your blogs . 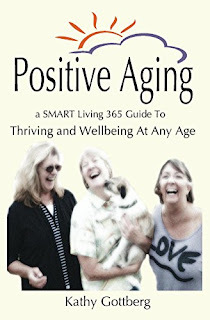 . .
First of all, I just heard -- Kathy Gottberg has a new book out called Positive Aging. It has a long subtitle, but to see that -- and get your own copy of the book -- you'll have click on the link and go to amazon. Also, if you want to lower your holiday stress levels and avoid all the angst, check out her latest post 10 Ways to Rightsize Your Christmas. I like her advice, especially numbers 5, 9 and 10. But I have to admit, I'll never go for number 4. Meanwhile, Six Decades and Counting’s Meryl Baer spent Thanksgiving day with family, enjoying traditional fare and political discussions, but no yelling and screaming. Everyone in her family (that was at dinner!) is on the same political page. Travels to her holiday destination were bookended by hours of driving, summarized in On the Move Again. Oops, I gave away the subtitle! Rita Robison of the Survive and Thrive Boomer Guide offers a list of What Not to Buy during the post-Thanksgiving sales. But her main focus is on Australia -- because that's where she is right now. We're having a great time, she writes. It's too bad it's so far away and expensive to visit. Sydney has grown so much. Lots of cranes everywhere. The economy is good. Australia now has 24 million people. It had 11 million when I lived here in the late 1960s. A good part of the growth comes from Asians, who have discovered that Australia is in their backyard. And not just for tourists. Eastwood, one of the neighborhoods where I lived, is now 90 percent Asian, with homes costing upward of $1 million Australian (or about $760,000 American). On the front of the library, there is a mural with an Indian child, a white child, and an Asian child. It's a different place . . . and thriving . . . and so far away. For her part, Laura Lee Carter has been lost in gratitude this week, a very nice place to be. She says she has found a simple way to focus completely on Feeling Daily Gratitude -- which isn't hard to do when you wake up to a sky bursting with bright colors, as in A New Sunrise in Southern Colorado. Jennifer Koshak, of Unfold And Begin, notes that practice is important to creativity. But at times we need some inspiration, some help, and some guidance. So whether for your own needs, or as holiday gifts for those artists, crafters, writers and bloggers in your life, she shares 6 Unique Gifts To Inspire Creativity. And finally, Carol Cassara offers a guest post from Gayle Kirk who has a website called A Healing Spirit. In her post The Bond of Love Is Never Broken she recognizes that many of us, especially during the holidays, find ourselves missing loved ones who have crossed over. So this piece on grieving might give us some comfort, because as Kirk points out, they are still with us, just in another form. Happy holidays to all, and may your upcoming Christmas season be cheerful and bright. There's a Generation Z -- Who Knew? We all know about the Greatest Generation and the Silent Generation and the Baby Boom Generation. And then there's Generation X, the people who followed on the heels of the baby boomers. And of course we've all heard about the millennials -- ad nauseum -- who are also known as Generation Y. By and large, these are the children of the baby boomers, born in the 1980s and 1990s. This cohort is some 80 million strong, and believe it or not, they now outnumber the baby boomers. And we thought we were the biggest kids on the block! Just f.y.i., there were some 76 million births in the United States from 1946 to 1964, the baby boom era. Of those original 76 million, about 13 million have died. But there are some 11 million immigrants who are now in their 50s and 60s. So if you count these "replacements" there are still some 74 million people who make up baby boomers in the U. S.
But now I've come to find out there's a new generation. Generation Z. Jeez, doesn't that make you feel old?!? Generation Z consists of people born in the late 1990s and early 2000s. The oldest Generation Zers are beginning to graduate from college. And according to some reports, they have their own distinct view of the world. Gen Z is the first generation that grew up with the Internet and smartphones. These kids only know about things like landlines and AOL through history books and movies. They also grew up in a time of economic and political uncertainty -- think recession of 2002 and the bigger one in 2008-9 -- and have watched their millennial predecessors struggle to find jobs and become financially independent. Gen Zers are well-versed in technology. The brass ring in terms of jobs hangs in Silicon Valley, or other technology hubs, or else in the technology divisions of major companies. They grew up with social media, and so they want to work in collaborative teams and learn from their peers. They are less likely than millennials to want to be entrepreneurs. They would rather work for a big company that offers benefits and flexible work hours. Many of Gen Zers studied abroad in college and so they are interested in traveling for work and even exploring opportunities to work in another country. They are also used to real-time responses, and so are pushing for more frequent feedback at work. The annual performance appraisal is giving way to regular, ongoing feedback programs. On the other side of the equation, a survey of corporate managers found they are worried that Generation Zers will be hard to communicate with and hard to train. Older managers fear that Gen Zers feel entitled, and lack a purposeful work ethic. And they believe this younger generation may have difficulty making personal connections and working with others . But I remember when we baby boomers were entering the workforce, back in the 1970s. People thought we were lazy. They thought we only liked to sit around with our friends and get high. They thought we had it easy. We'd never experiencing the Depression, or a World War, and we were supposedly handed everything on a silver platter by our post-war parents. We felt entitled to a good job and respect from our bosses, simply because we were young and thought we were so wonderful. So . . . have things changed all that much? Well, one thing has changed. It turns out that the millennials and Generation Z are not really official generations, after all. They are merely convenient constructs developed by demographers and marketers. In fact, the baby boomers are the only demographically significant "generation" officially recognized by the U. S. Census Bureau. The baby boomers changed the world, like no other generation. Besides, there's another issue. What comes after Z? They've run out of letters! B and I had a grandchild born earlier this year. What are they going to call him and his friends? How will they get categorized? 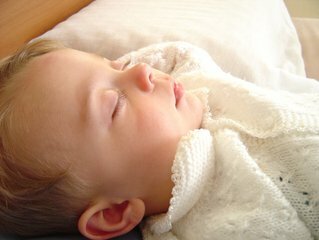 Right now he's just a baby, no different from my kids when they were babies, probably not much different from us when we were babies. But what is he going to be like -- what's the world going to be like -- in 20 or 25 years when he enters the workforce? As I mentioned in my November 4 post, I'm taking a photography course at home. While I'm here in South Carolina, as part of the course, I'm putting together a portfolio about the beach in November. The idea is to show the beach in its more natural state, after all the crowds have gone home. Most of the photos feature shots of sand and water and jetties. But I want to include a few photos of town as well. After all, when you think of the beach, don't you also call up the image of the dive bar, or the souvenir shop, the ice-cream stand or the restaurant with fishnets hanging from the ceiling? Here's a photo of a restaurant, taken through the front window. Ultimately I'll probably include two or three town shots in my portfolio. So, if you would do me the favor, could you tell me in the comment section below, which of these rank as your favorites. Here we have a souvenir shop, looking in the front door. Or . . . maybe this photo of a display which I found along the side of a building. Or, of this dog trying to look cool . . . But like I said, it's the people who count the most. Here's a fisherman out on the pier. And a woman lying on the beach . . .
Or, do you prefer the long shot of the couple on the beach? Then we have a bird's eye view. And a seagull who ... she looks cold, doesn't she? Finally, a more abstract look at a fence. That's all I have for now. Again, I'd value your opinion on which are your favorites, hoping that at least a couple of them are interesting enough to catch and hold your eye. When I get home, and after I present my portfolio to the class, I'll be sure to bring you the results -- meaning, what the teacher and my classmates said about them. Thanks again! We will go home for Thanksgiving and Christmas. Then I will depart for three weeks in Florida, before meeting up with B to spend the month of February back in Charleston. I invite B every year to go with me to Florida but she only went once . . . and won't go back. She doesn't like Florida. It might be interesting to interview her and do a post on all the things that are, in her mind, wrong with Florida. So anyway, we had this same schedule last year. It seems to be our developing pattern, now that B is retired. 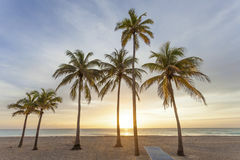 Three weeks in November, then for a month in February, with me taking a side trip to Florida. So . . . does that make us Snowbirds? I don't think so. The Carolinas are a place where many Northerners go to retire. But they're not visiting; they live here. It's a compromise. The winter can be chilly, but there's no snow like in the north. The summers are hot and muggy, but not as bad as Florida, and the brutal heat of summer doesn't last as long either. Not too many people come to the Carolinas just for the winter. The true Snowbirds go farther south, usually to Florida. From my experience you have to get south of Orlando before you can rely on a balmy January or February. Of course the West Coast has its own version of Snowbirds. They go from Oregon or Washington, usually to Arizona. If you live in California -- like the Carolinas -- you don't need to go anywhere else. But I don't think the Carolinas qualify us for Snowbird status. And three weeks in Florida is not enough time. Besides, doesn't Snowbird have a slightly negative connotation? Snowbirds are kind of a cliche. They are old and retired and wear funny-looking clothes. They are kind of selfish, only concerned with their own comfort level, people who abandon friends and family at the first sign of cold weather. They are, literally, fair-weather friends. Or maybe they're the much-hated one-percenters who can afford two homes and are gaming the tax system by claiming residence in a low-tax state, while they really continue to live and enjoy the amenities of the North. Besides, if I had my druthers, I'd probably be a Snowbird myself. Personally, I like Florida. I was even there once in the summer, watching July 4th fireworks, and I didn't find the heat and humidity all that oppressive. I already play golf, which seems to be a prerequisite for retiring to Florida (and Arizona too?). And according to B anyway, I already wear the funny-looking clothes. So, uh, I guess credit goes to B . . . for keeping me from becoming a cliche. I am taking a photography course with an organization called the Center for Learning in Retirement, held at our local university in Pennsylvania. For our final project we have to put together a portfolio based on a certain theme. B and I just arrived at the beach in South Carolina. We'll be here for two weeks, seeing B's son and grandson, who live nearby in Charleston . . . and, well, enjoying the sand and the surf and the little beach town and, hopefully, some warm weather. So I picked for my photography theme: November at the Beach. Ultimately, I have to put together a portfolio of about a dozen photos that encapsulate the feel of the beach at this time of year -- the Carolina beach after the season is over, after the crowds go home. So I'm asking for your help. I have a few photos here. Can you tell me in the comment section which of the two photos you like better? Or, please let me know if you don't like either of them -- be honest because I'll have to show these photos to my teacher and the rest of the class ... and, you know, I don't want to embarrass myself by presenting lousy photos. One problem with beach pictures is that they tend toward the cliche -- the setting sun, the breaking waves, the pretty flowers. Of course, a lot of what makes a good picture is not the subject matter, but how you look at it, the point of view. I know, the photos are similar. But which captures the mood better? Or, again please be honest, are they both boring or too familiar? Or Number 4? They cover the same subject, but they are somewhat different, aren't they? Which one speaks to you better, No. 3 or No. 4? Or this one, Number 6, which is a road of a different kind . . .
And then I've got a closeup of a shell. Number 7 shows the shell through the water. But does Number 8, with the shadow, seem better than No. 7 -- or are they both kinda boring? I appreciate your "votes" and thank you for your help. If you think this is fun, I'll show more photos later in the week. If it's not fun . . . well then, I'll just bug B with my photos. She's stuck here with me for two weeks and can't get away! If I had to bet, I would bet that the proposed Republican tax reform bill does not get passed, that it never actually makes it into law. However, I also know I am not very good at predicting the political future, so let me put in my two cents' worth about the tax reform proposal ... what it proposes, and whether it's fair or not. My information about the proposal comes from U.S. News, which I assume is accurate but not necessarily comprehensive. First of all I agree that the tax code ought to be simplified. Does this proposal accomplish that? Well, it reduces the tax brackets from seven to four; it raises the standard deduction so more people will be able to file without having to itemize deductions. Perhaps it's a small step in the right direction. But it FALLS SHORT in accomplishing a true simplification that would allow the majority of people to understand the code and do their own taxes. The most-advertised change is the lowering of the business tax from 35% to 20%. People will argue all day long about whether or not this is a good thing. Proponents say it will spur investment, jobs and income. Opponents argue that it will add to the federal deficit and that most of the benefits will go to the rich. The truth is, NOBODY KNOWS what the effects will be. So it's hard to say whether this is fair or not. 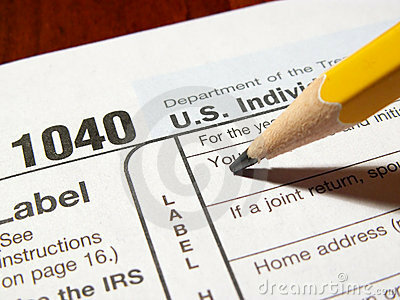 The current seven tax brackets will be reduced to four, ranging from 12% to 39.6%. The highest rate has not been reduced. So ... FAIR. Certain deductions are capped. The mortgage deduction is currently capped at $1 million. In other words, mortgage interest is tax deductible up to the interest paid on a $1 million loan. The proposal calls for lowering the cap to $500,000. Despite howls of protest from the real-estate industry, this only seems FAIR to me. I think it's a good idea for the federal government to encourage home ownership, because it is generally considered a social good. But come on. There should be a reasonable limit on how much the rest of us subsidize people buying million-dollar-plus McMansions, don't you think?. The other cap is for state and local property tax. Currently, all real-estate tax is exempt from federal income tax. The proposal calls for a cap at $10,000. In effect, this increases taxes on people living in wealthy areas, who benefit from the extra services their $10,000-plus property taxes pay for. Again, I think we should subsidize local governments, particularly local school systems. But there's no reason why regular people should subsidize other people's $10,000-plus luxuries. So ... FAIR. The Republican tax plan would eliminate the tax credit for buying electric vehicles. FAIR, BUT NOT SMART. It would eliminate deductions for state and local income taxes, casualty losses, medical expenses (currently deductible at over 10% of income); alimony payments and moving expenses necessary for a job. To compensate the Republican bill would almost double the standard deduction from $12,700 to $24,000 for a married couple and from $6,350 to $12,000 for single filers. It would also increase the child deduction from $1000 to $1600, but eliminate the personal exemption. On balance this would benefit families and punish single people, but the effects would be minimal. So all this pretty much comes out in the wash, and simplifies the tax code. FAIR. The plan would also eliminate the alternative minimum tax -- originally designed to make sure the very highest-income individuals pay at least some tax, even if they pile on the deductions and other tax dodges available to those with high incomes and high-priced accountants. But the AMT has morphed into a complicated add-on that now affects not just the super-rich, but also significant numbers of upper-middle-income filers. FAIR. The plan would not eliminate the so-called carried interest clause, which offers select financial executives a huge tax break by classifying their income as capital gains instead of regular income, thus taxing it at a lower rate. Donald Trump railed against this tax break during the campaign -- as did Hillary Clinton and Bernie Sanders and virtually every other candidate. But despite the protests, this particular tax break for the favored few has not been eliminated. NOT FAIR. The plan would also phase out the inheritance tax (or the death tax, in Republican parlance). Currently, estates worth over $5.5 million are subject to estate tax. Under this plan no estate tax would be levied on even the wealthiest of the wealthy. NOT FAIR. One last thing. There was talk of putting more severe caps on the amounts people could put into their 401K accounts. This element was dropped. So workers will still be able to deposit up to $18,000 in a 401K account. Yet people who do not work for a big corporation, who do not have a 401K, and instead rely on an IRA, are limited to a $5,500 contribution (or $6,500 if you're over 50). In my opinion, everyone should have the same caps on their contributions. Everyone should be treated equally. So ... UNFAIR. As I said, I do not know if this is a comprehensive look at the new tax plan, but it covers the basics. Some good things; some bad things. But is it progress? The beat goes on.